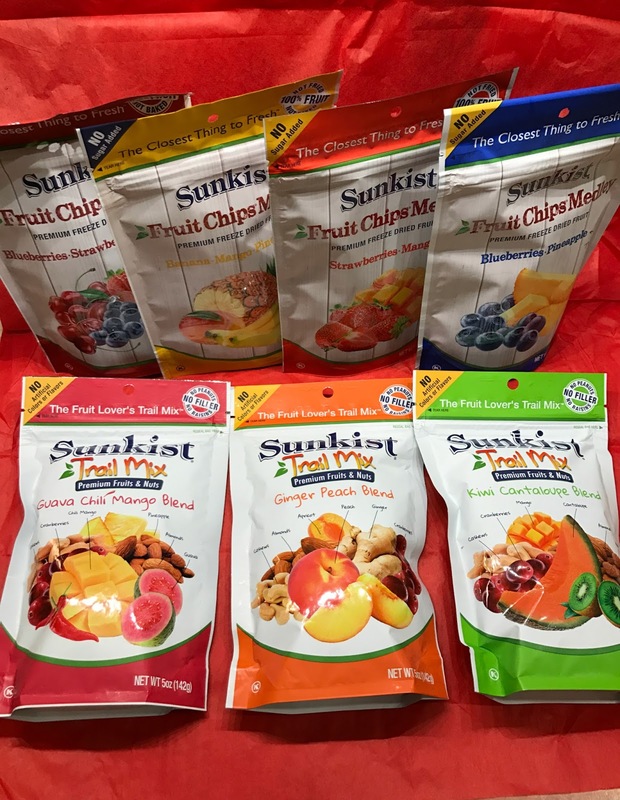 Living a Fit and Full Life: Fuel Up with Sunkist Snacks Trail Mix and Fruit Chips! 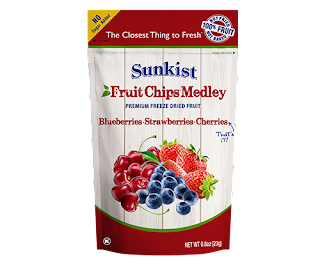 Fuel Up with Sunkist Snacks Trail Mix and Fruit Chips! Sunkist has a rich history that started well before Trail Mix and Fruit Chips. The Sunkist brand was created over a hundred years ago, when citrus fruit growers in California and Arizona came together to institute the Sunkist trademark as a mark of freshness and premium flavor. As time went on, this mark began appearing on all sorts of great products, from vitamins to fruit snacks, and let everyone know that the thing they were holding was bursting with quality. 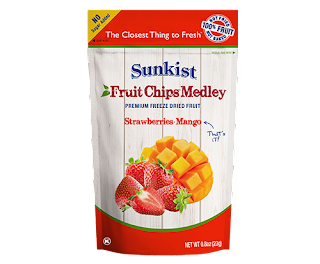 Lightweight, crispy, and bursting with flavor, Sunkist Fruit Chips® are pure fruit healthiness with yummy Grab-n-Go convenience. Freeze drying removes 98% of the moisture, leaving behind the wholesome purity of real fruit. The closest thing to fresh. 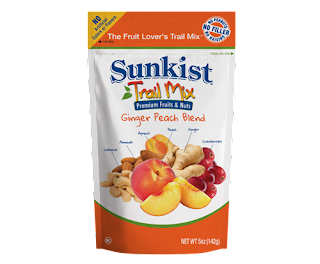 Fuel Up with Sunkist Snacks Trail Mix and Fruit Chips! As a runner, mom of 4 and someone who tries to eat healthy I absolutely love snacks that are not only delicious but good for you. 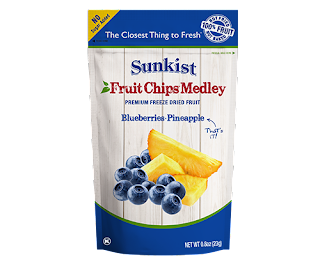 Dried fruit has always been a favorite of mine and my kids but I love the crunchiness of the freeze dried fruit in Sunkist Snacks Trail Mix and Fruit Chips. The flavor combinations are perfect and with so many choices there's sure to be a few you'll love. 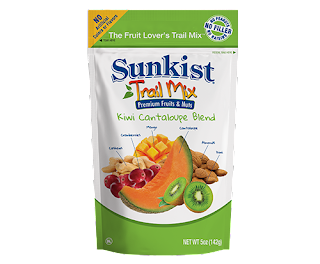 I also really like that Sunkist Snacks offers both a Trail Mix variety and Fruit Chip variety. 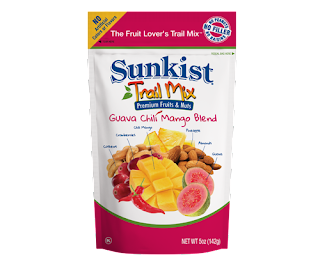 Sunkist Snacks Trail Mix and Fruit Chips are the perfect way to fuel up for a run or a day of chasing 4 kiddos around! 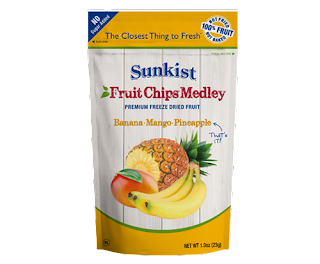 Click HERE to find a store near you that sells Sunkist Snacks! Click HERE to learn more about Sunkist Snacks! Follow Sunkist Snacks on social media!